If you are a veteran or a member of the military, I would like to start off by thanking you for your service. As a member of the military, there are a variety of benefits that come with the job. After all, enlisting yourself to protect the freedom of the United States is a sacrifice that no doubt takes a tremendous amount of courage, value, and candor. It is only fair to make sure that your choice of occupation comes with many perks. There are the main benefits such as the military discount at many restaurant establishments and shopping retailers, the tax free income, the ability to travel the world, etc. There is also a huge benefit that is not as popular as the aforementioned perks and that is the VA Loan. 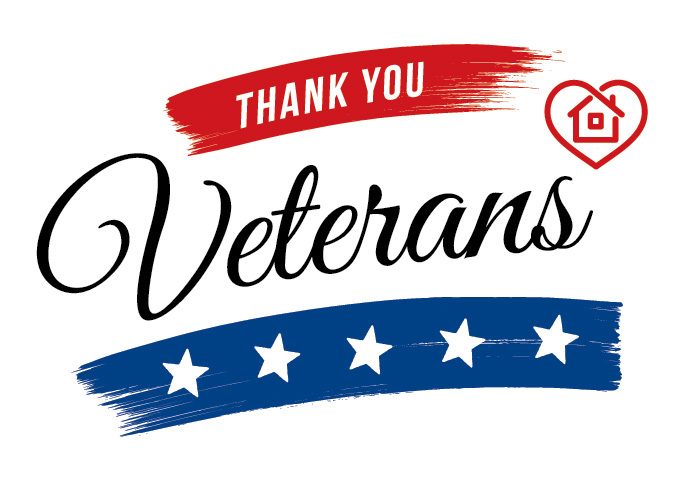 The VA Loan is a mortgage loan that veterans can get through approved lenders and is guaranteed by the United States Department of Veteran Affairs (The VA). The United States government created this program back in 1944 in order to assist the returning soldiers and service men in purchasing a home without needing a down payment or excellent credit. In the history of this program, 22 million VA loans have been guaranteed and helped active duty military members, veterans, and their families to purchase their homes or refinance their mortgages. What’s The Difference between a Traditional Home Loan and a VA Loan? A VA Loan is different from the traditional home loan in that it does not require the homeowner to put down a down payment. There are many people who put aside money for a lengthy amount of time in order to save for their future home down payment, and the FHA even has a special type of loan (The FHA Loan) to assist home buyers who are not able to afford a 20% down payment. Having this type of benefit automatically embedded into the loan itself is a HUGE perk that no one else is able to have. Because no down payment is required in order to get a VA Home Loan, you must be thinking that mortgage insurance is required. It makes sense since after all, with an FHA Loan private mortgage insurance is required since the home buyer is putting down less than 20% for the down payment. Private mortgage insurance protect the lender in the event that the borrow defaults on the loan. Is Mortgage Insurance Required for a VA Loan? With a VA Loan, private mortgage insurance is not required either. This is because the federal government backs all VA Loans and assumes the risk on behalf of the borrower that is typically covered by the PMI. This VA Loan advantage allows the borrower to save thousands of dollars over the life of their mortgage! If a borrower were to take out a loan of $450,000, their monthly savings would be about $345 a month due to the absence of mortgage insurance payments. With All These Benefits, Can You Still Get A Low Rate? Competitive interest rates are also an added bonus that comes with a VA Loan because of the VA loans being backed by the federal government. It is because of this guarantee that major financial institutions such as banks and other lenders carry less risk and can therefore offer interest rates that are lower than conventional interest rates by .5 to 1 percent! With no down payment, no private mortgage insurance, and a lower interest rate all combined together, the savings start to significantly stack up. If you are an active military member, a huge benefit that you get to have is called Basic Allowance for Housing, also known as a BAH. This basically means that you will receive money to help you with your living costs. Thankfully, your BAH is also seen by the qualified lenders as income so you can use your BAH to pay some or all of your monthly mortgage payment. There is no set amount for BAH, as it varies from person to person. It is calculated on a number of details such as where you are geographically located, how many dependents you may have, your pay grade, etc. If you are currently located in an area where the cost of living is very high, you will most likely receive more to help offset those costs versus if you were to live in an area where the cost of living could be low. In addition to using the BAH towards the monthly mortgage payments, there is also the No Pre-Payment Penalty. Did you know that with many different types of loans, paying off a home loan before it matures will get you a pre-payment penalty? That means that you are not allowed to pay back your mortgage within a certain time period. While it seems absurd, lenders typically do this because they would be missing out on interest payments. With a VA Loan, borrowers are able to pay off their mortgage any time they see fit without having to worry about getting surprised with a pre-payment penalty and because the pre-payment penalty doesn’t exist in the world of VA Loans, borrowers are free to consider future home purchases and refinancing options. It is also important to note that a VA Loan Certificate of Eligibility (COE) is a crucial part of the loan application. It is not mandatory to have it at the start of the loan process, but it tells the lender about your length of service, your character of service, and any other good merit that you may have that determines your eligibility for the VA Home Loan benefits. You can apply for your COE 3 different ways. You can apply through a VA approved lender, apply online through the VA’s eBenefits portal, or apply by mail with the VA Form 26-1880. If you meet the qualifications and are eligible for a VA Home Loan, take it. These are exclusive benefits that are only offered to you and these are major benefits that will result in huge savings that no one else can have unless they buy their home in cash. If you don’t think that having a mortgage is for you, there are a variety of mortgage types out there with the VA benefits added to it. If the thought of purchasing a home is too daunting, there is also the VA 5/1 ARM which means that you have a low rate that is fixed for the first 5 years and then the interest rate will adjust after the initial 5 years. 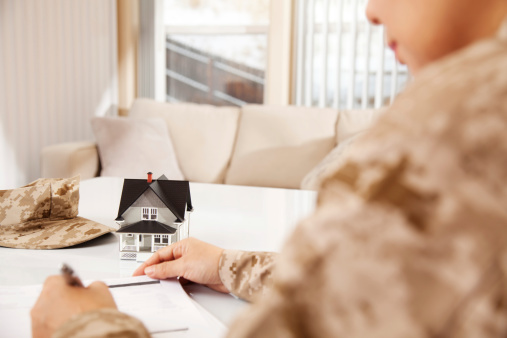 Since moving around is also part of being in the military, this mortgage would actually be well suited for your occupation since you would be able to take advantage of the low interest rate. Right before the interest rates adjust, you can sell your home and pay back the rest of the loan and because VA Home Loans don’t have a pre-payment penalty, you can do this without worrying about hidden fees. What If I Already Have A VA Loan? If you already have a home and are interested in refinancing your current mortgage, refinancing could be an option. Similar to home buying, military homeowners are able to take advantage of lower rates in order to decrease their monthly mortgage payment amount or do a Cash Out Refinance and use the cash to make improvements on their home to increase the home value or pay off debt, etc. There are two main programs that help VA borrowers refinance to a lower rate: the Cash Out Refinance and the Interest Rate Reduction Refinance Loans (IRRRL), more commonly known as the VA Streamline Refinance. In order to get a Streamline Refinance, you must currently have a VA Loan in order to refinance into another VA Loan with a lower interest rate. Streamline Refinance Loans also require very little paperwork and almost no costs out of your pocket (borrowers can even transfer closing costs into their total loan amount), and some homeowners can also get a Streamline Refinance without an appraisal. For a VA Cash Out Refinance, it is almost identical to the features of a conventional Cash Out Refinance, but there is a main difference. Unlike the Streamline Refinance, borrowers who want to get a VA Cash Out Refinance are not required to currently have a VA loan. They can have a conventional loan and still qualify to get the lower rates that the VA Cash Out Refinance offers them.